Professor Anthony Woolf, Chair of the Bone and Joint Decade (BJD) International Co-ordinating Council, from the Royal Cornwall Hospital, Truro The Global Burden of Disease study 2010, researched by the Institute for Health Metrics and Evaluation, is the first comprehensive study of the impact of all diseases and risk factors worldwide. The GBD data referring to the UK points to musculoskeletal conditions as being responsible for nearly one third of the entire national burden of disability. Musculoskeletal disorders are very broad and do not always fit neatly into our current, biomedically-dominated approach to delivering, and measuring outcomes in, healthcare. They are often complex, are associated with many co-morbidities and many of them tend to fluctuate. Early diagnosis, prompt referral and specialist intervention is essential for some inflammatory forms of arthritis, for example rheumatoid arthritis. But many people with MSDs, the vast majority of whom have osteoarthritis, can be managed effectively in primary care, if the care they receive includes a strong element of self-management and support to remain independent. Dr Alan Nye and Federico Moscogiuri, our director, co-authored this article on shared-decision making, spending variation and consultant-led pathways. It was published in gponline.com. Is back, neck and muscle pain hurting the UK economy? Almost 31 million days of work were lost in 2013 due to back, neck and muscle problems, according to the Office for National Statistics (ONS). The Labour Force Survey found that musculoskeletal conditions accounted for more prolonged absences than any other ailment. This research from the ONS highlights the enormous impact of MSK disorders on work, and by extension the UK economy. Read the accompanying article by the BBC Business reporter, Joe Miller. Every time you get people in health to talk about the big issues facing the sector, you can be sure that the issue of joined-up working and joined-up care will come up. And when you start talking about joined-up working, you’re not far from talking about networks. Read this post by ARMA’s Federico Moscogiuri on the National Voices website. This chart is taken from a fascinating, illustrative PowerPoint presentation document by Professor Anthony D Woolf, of the Bone and Joint Decade. Click the image to see it full-size or click here to open the presentation slides. 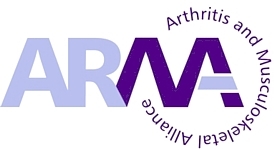 The following are a selection of ARMA members’ posts from the last few months of our arthritis news feed that have been categorised as relating to Health Policy. 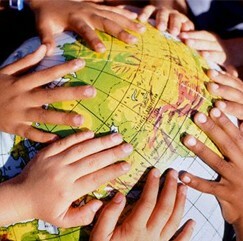 See the rest of our ARMA members’ posts tagged with ‘health policy’.